It’s somehow fitting to visit the memorial to 115 Squadron in the rain. The air is still, no-one else is around and the gloomy, overcast sky renders the perfect backdrop to allow silent thoughts about my grandad, who was a rear-gunner in 115 Squadron. 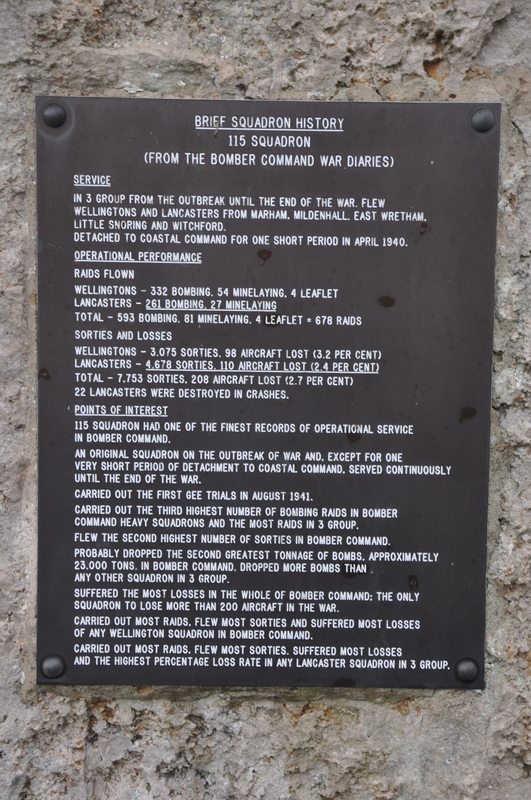 Ronald flew 30 operations in a Wellington bomber and was fortunate – the life expectancy of rear gunners was desperately short -to return home safely to meet his newborn son: my dad. 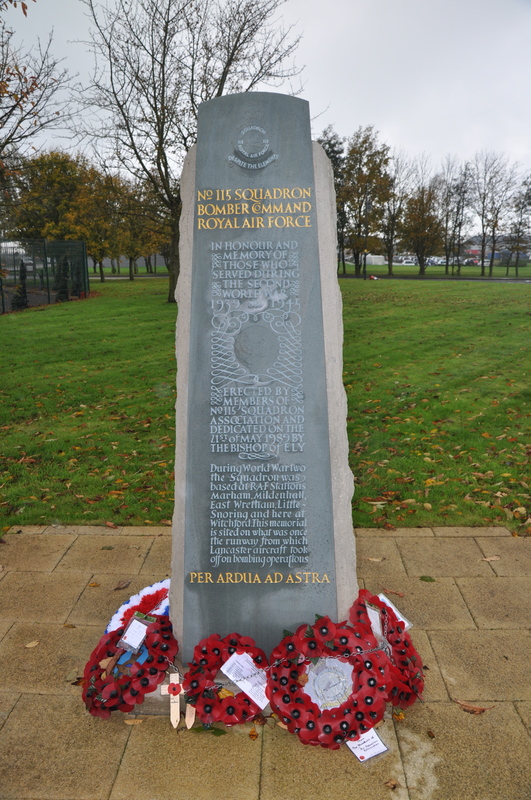 It is touching to learn that the Squadron still exists in the form of 155 Squadron Association and 115 (R) Squadron, Central Flying School, who have both made the journey to leave Poppy wreaths at the Memorial.